The Seton Hall women’s basketball team (14-9 Overall, 6-6 Conference) head to Omaha, Nebraska for their second game of a 2-game road trip to take on the Creighton Bluejays (10-13 Overall, 4-8 Conference). Seton Hall looks to end this road trip on a good note after losing Friday night at Providence by a score of 82-75. The Pirates ran into trouble from behind the arc and at the charity stripe. They went 7-29 from three and 6-12 from the free throw line. These two positions are where the Friars took advantage to get the win. Providence shot 48% from downtown compared to the Pirates’ 24%, and they shot 95% from the line compared to Seton Hall’s 50%. Despite not being able to get the win, the Pirates still had 4 players in double digits, which included Desiree Elmore (22 points), Shadeen Samuels (17), Nicole Jimenez (15), and Inja Butina (10). There are some positives to pick out in this loss to Providence. Seton Hall scored more points in the paint (38-28), more second chance points (15-13), more bench points (27-21), and more fast break points (6-0). Despite leading in those areas, it was the poor free throw and three-point shooting combined with Providence’s excellence in those areas that dug the hole for the Pirates. With their sixth conference loss the Pirates remain tied for fourth in the Big East with Villanova and Providence, while their opponent, the Bluejays, sit at ninth. Creighton is coming off of a 51-45 home loss against St. John’s. Audrey Faber was the only Bluejay in double digits with 14 points. Creighton got destroyed in the paint allowing the Red Storm to score 30 from underneath the basket. The Blue Jays were held to shooting 33% from the field and only 22% from beyond the arc. Creighton did perform well at the free throw line, shooting 73%. The last time these two met, Seton Hall earned the victory 82-75 at Walsh Gymnasium. Samuels could not be stopped that night as she scored a double-double with 32 point and 11 rebounds. Both Butina and Jimenez dropped double digits with 21 and 17, respectively. Meanwhile Creighton had three players in double digits, which are Jaylyn Agnew (26), Temi Carda (17), and Faber (14). Winning this game will help the Pirates get back on track after a disappointing start to their road trip, and it will also help them stay undefeated against Creighton this season. 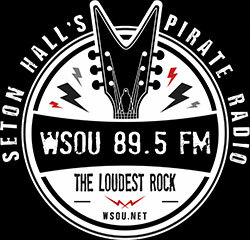 89.5 FM WSOU will be your ears at DJ Sokol Arena with coverage starting at 1:45pm. Jose Feliciano and Scotti Cesa will handle the pregame show, while Matt Ambrose and Bob Towey will take it the rest of the way starting at 2 pm in Omaha.